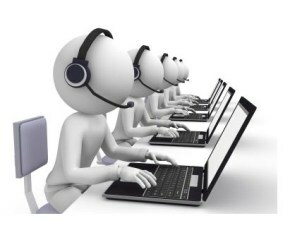 With a business that has its own IT department, you should rely on help desk software to give your employees the tools they need to provide IT assistance and increase productivity. Help desk software can make a huge difference in your productivity, which will increase job satisfaction and employee happiness. When you are limited to accessing help desk software from within the office, you are simply not able to provide assistance to those in need on business trips or while they are off site from the office. If you have an experienced employee that often gives helpful knowledge to newer employees, you will find it very valuable for them to have access to this software from anywhere as they can help at any time. A thorough knowledge base is critical to the growth and success of your business. If you continue having to solve the same issues time and again on an individual level, you will consistently have a backlog of work to do because you are not using your time as wisely as it could be used. Adding solved problems to a self-help database is essential because it allows those who need assistance to help themselves with the problem they are experiencing, as opposed to relying on professional help. Track the work you do, and make the solutions available to all employees. Being able to assign tickets to a particular employee is helpful because you can give specific tasks to those that you feel are the most capable of handling a problem. Having this option is helpful for productivity as it allows you to streamline easier tasks to newer help desk employees while deploying your most knowledgeable and experienced employees with the problems that are likely to be the most challenging to solve. Contact us to learn more about our help desk software.